For all its variety, this is a damn fine rock album, plain and simple. 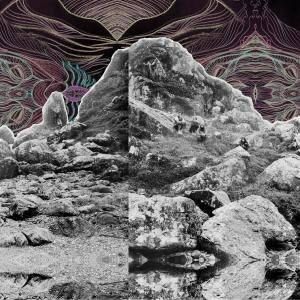 Nashville band All Them Witches provide a lot of fodder for music fans fond of hyper-categorization. They’ve been called drone, sludge, stoner doom, blues rock, and psychedelic rock, just to name a few subgenres. This pot-pourri (sorry) of styles goes to show that the band is anything but one-dimensional, cherry-picking bits of rock and roll history to incorporate into its world-engulfing swirl. To dismiss All Them Witches as “just” a stoner band, then, is to lump the group together with the likes of Sublime, Red Hot Chili Peppers, and whatever other splifftastic poster models your college roommate from 2003 probably still listens to. Dying Surfer Meets His Maker shows that the outfit is much more mature and complex than that. “Call Me Star” enters with contemplative acoustic picking backed by powerful drums, and it slowly builds as Michael Parks Jr. whiskey-moans “everyone deserves a crown of light.” Closing with a gorgeous wall of reverb fuzz, the track announces that All Them Witches can craft soulful, acoustic-driven blues rock and shovel mountains of sludge metal in equal measure. “El Centro” delivers heavy, melodic bass playing reminiscent of doom duo Om, leavened by a mellow, spaced-out keyboard and that rarest of musical beasts, the well-integrated drum solo. Then the track dissolves in a sun-bleached haze. “Dirt Preachers” injects some speed-punkish energy, then echoes with towering guitar riffs and raw vocals. The guitar playing here is bluesy and improvisational, skilled without being showy, and it elevates the track to celestial levels. “This Is Where It Falls Apart” strides heavily into blues territory, opening with a mournful harmonica melody that’s taken up by the guitar. Monotone vocals keep the song from edging into melodrama, though, providing a bleak counterpoint to the baroque, Zeppelin-esque instrumentation. Robby Staebler’s heavy hitting keeps the track feeling modern and gestures toward the band’s hard rock origins. “Mellowing” is as folksy and elegiac as a ‘60s Nick Drake tune, an instrumental interlude that evokes lone guitars played by the light of dying embers on autumn nights. “Open Passageways” modernizes the folk feeling with electric instruments while adding some mournful Celtic strings, and “Instrumental 2 (Welcome to the Caveman Future)” delivers on the mind-expanding promise fans of previous albums have been waiting for. The unique fusion of blues and psychedelia offers a glimpse into a giddy musical samsara before just as quickly vanishing. “Talisman” develops these hypnotizing guitars and adds poetic vocals to craft a haunting, layered song that incorporates shades of everything from grunge to blooze. “Blood and Sand/Milk and Endless Waters” is the windswept epic the album has been building toward, showing the band’s sense of drama. Parks intones verses about being “nestled in the bosom of creation” as ecstatic guitars (and a lone fiddle) weave a majestic tapestry. Even this track is relatively short, bowing out at a compact seven minutes where a more self-indulgent jam band might have noodled around for much longer. In an area of rock music (the word “genre” is tricky here) where it’s normal to expect extended, repetitive riffs and spotlight-hogging solos, All Them Witches show the value of restraint. It’s easy (and fun) for music nerds to pick All Them Witches apart looking for sounds, genres, and influences—after all, they partake of so many, combined and recombined with sensitivity and intelligence. At the end of the day, though, Dying Surfer has to be taken on its own merits for what it is: a damn fine rock album.